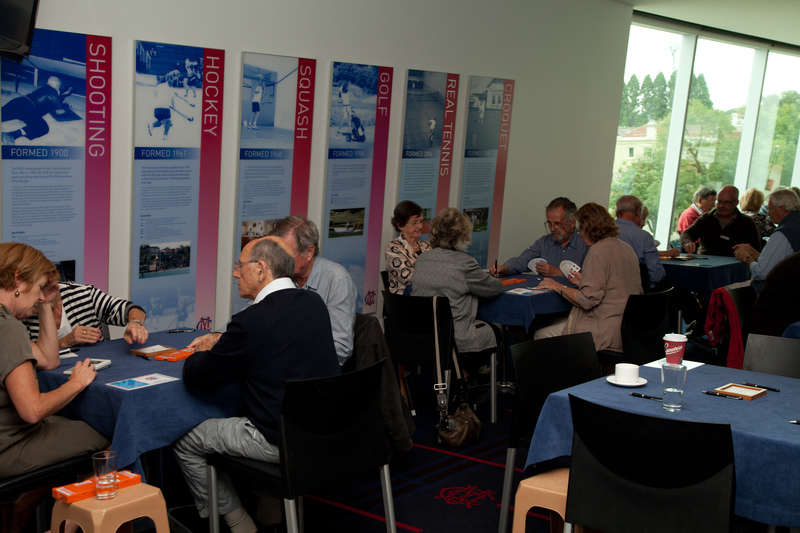 The MCC Bridge Club holds regular sessions of the world’s most famous card game at the MCG. Duplicate bridge is played in the Hans Ebeling Room on Thursday afternoons, while the club also plays regular matches against other bridge clubs. Visit the MCC Bridge Club's website. All MCC members are welcome to apply for membership of the MCC Bridge Club. Our Thursday afternoon bridge sessions require an understanding of the fundamentals of the the game of Bridge and in particular how Duplicate Bridge is played. All members without significant prior playing experience need to have completed at least a beginner course in bridge. Such courses are not currently provided by the MCC Bridge Club but are available at many other bridge clubs in the Melbourne area. MCC members interested in joining may contact Greg Critchley (0421 011 376 or gregcritchley51@gmail.com) for further information and to obtain an application form.